Some weeks ago we started introducing to the community our list of resellers and the updated page where you can find resellers of Genuino and Arduino products around the world. 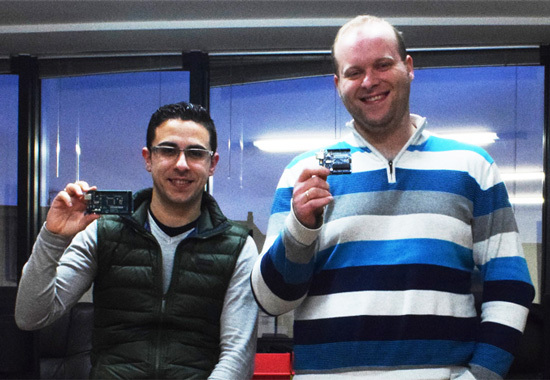 We started with Watterott from Germany and now, in the picture below, you can see Diego and Oscar from BricoGeek based in Spain and ready to ship Genuino Uno and Genuino Mega boards! We started our company in 2005 and later in 2007 we became one of the first Arduino official distributors for Spain and Portugal. After winning a board in a contest organized by uchobby.com I had so much fun with my new board, I continued to make more projects which I posted in our blog and realised that this little board was really easy to understand and I could make great things with it. Many of our viewers also enjoyed our projects and started making too. And here we are, 10 years later, sharing projects and growing our community of fellow makers! – What’s your company’s super power? We aim to be honest and don’t fool our customers. 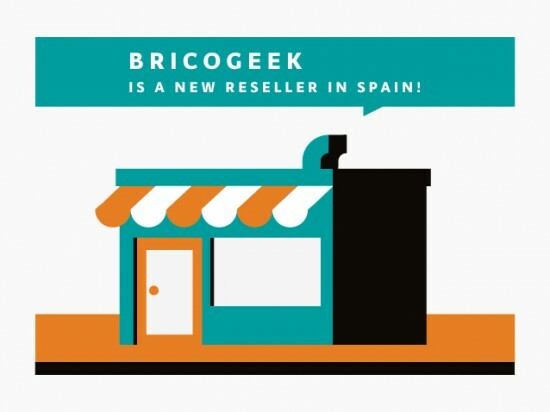 We try to make BricoGeek a good place to share knowledge and ideas and it seems our customers love that as much as we do. – What’s your favorite Arduino or Genuino project? [Oscar] There are so many projects I like and it’s hard to keep track of all of them but I recently discovered a really cool project called “Cubetto” which is a game with a little robot to help kids understand and learn programming. And from the same guys another one called “Toot” also for kids and based on the Montessori learning system. Im working on very similar projects that hopefully I will release them in a few weeks (but shhh it’s a surprise for my daughter! ;D). I really enjoy when I make a project that helps young people learn new technical skills, you will be surprised how smart kids can be when they really enjoy learning.